Very friendly service and fast at the drive thru and inside dining. The customer service skills are above average too! Nice remodeling job, food is even better then before, still great price for the senior buffet ($6.00). And great service from the employees. Buffet was OK. Not great but good price. KFC original recipe seems to have gone missing at ALL KFC stores ! Crispy and BBQ seem to have ruined the True Original Recipe. Today's Original recipe is not as good. Kentucky Fried chicken is back, Fresh hot clean and good personnel. I like this place and I do recommend it. Obviously really improved since earlier reviews! Restaurant was clean, buffet was well stocked and food was hot and fresh. Staff is friendly for fast-food. 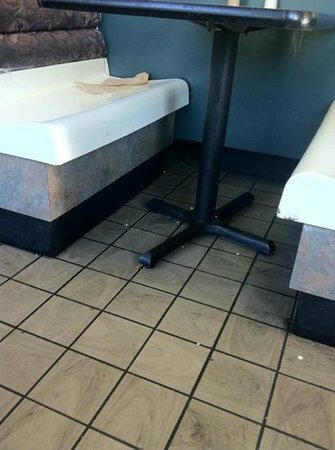 Dining room is as clean as can be expected for a fast-food restaurant. We would visit again!